Bad news, everyone! Turns out that other than many, many successes, Apple’s not actually doing that well. Apple Inc. owns one of the most valuable corporate brands in the world. Ask not for whom the “but” tolls. It tolls for Apple. …that equity… has not always extended to the products and services that it offers consumers. If you look at Apple through this very elaborately constructed filter I’ve created that carefully weeds out or redefines its many successes, it looks like the company isn’t doing all that well. The newer stuff that does carry the Apple moniker—Apple Watch, Apple Music, Apple TV— have been either outright disappointments or solid but not wildly popular businesses. 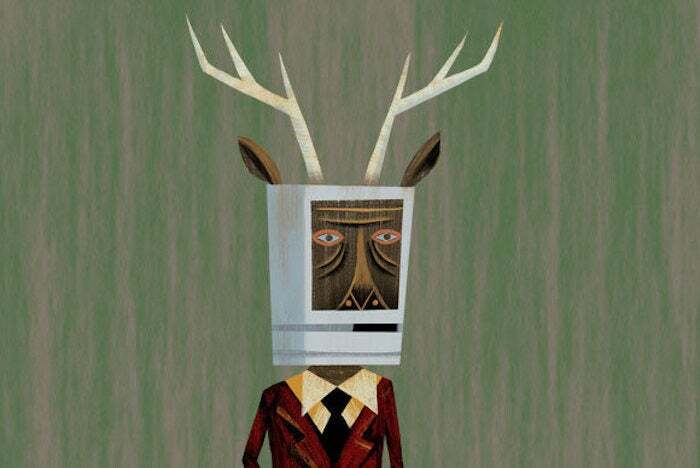 Looks like the Macalope has to link to this piece by Rene Ritchie on how the Apple Watch is clearly a success yet again. Apple Music, meanwhile, has 27 million paying subscribers. With the Apple TV as maybe “solid but not wildly popular”, the Macalope’s really wondering where the “outright disappointment” is here. And do you remember the Apple Newton, the company’s failed attempt to develop a personal digital assistant in 1993? Oh, snap! Sick burn from the first year of the Clinton Administration! Walk that off, Apple! In fact, you would probably have to go all the way back to 1983, with the debut of the Apple IIe computer, to find the company’s last major Apple-branded product that struck gold. That’s not literally striking gold, but it’s the next best thing without having to get dirty with all the digging. Haven’t you ever rolled your eyes so hard you couldn’t speak? The Macalope sure has. …Apple may need to rethink its strategy. Because, while it’s doing extremely well, many pundits refuse to acknowledge the success of products they have invested a lot of time in saying were flops. Thus, Apple must change its strategy. Let’s see, we have some ridiculous redefinition of Apple successes as failures, what else can we spice this up with? How about throwing a quote from Steve Wozniak in the company’s face? …Wozniak suggested that Apple has run out of innovative things to make. Mmm, yeah, that’s good. What else? Oh! Come on, a religious reference. Gotta have one of those. Its stores, temples to Apple product designs, are less valuable for selling services. This Apple bingo card is getting pretty full. Apple’s brand historically signified innovation. So if Apple has tapped out on innovation, what does it stand for? Translation: “I do not own a pair of AirPods.” Also, I have no idea what Vic Gundotra was on about. …according to Brand Finance, Apple’s brand value dropped by $39 billion this year, falling behind Google. Meanwhile, Apple stock is up 35 percent this year while Alphabet’s is up 16 percent. The stock market isn’t always a rational barometer of a company’s worth, but neither is a spreadsheet whipped up by some branding consultancy. If you find yourself cutting out an intricate paper snowflake and holding it up to Apple to try to redefine it as a company beset with troubles, maybe ask yourself why you’re doing it before you start typing.